We've got some new packages and gift sets just in time for the Holidays! 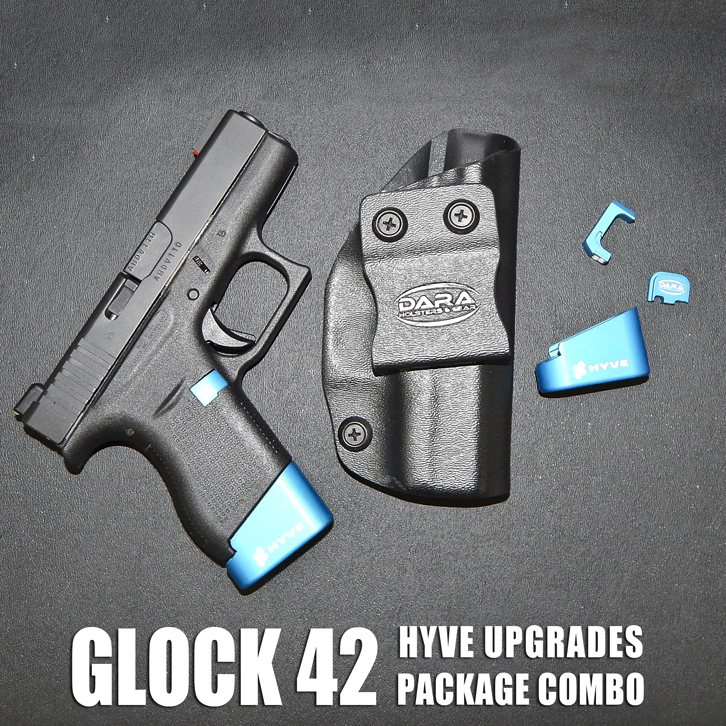 Above are the Limited Edition IWB Holster and HYVE Upgrades Package for the Glock 43 & Glock 42. 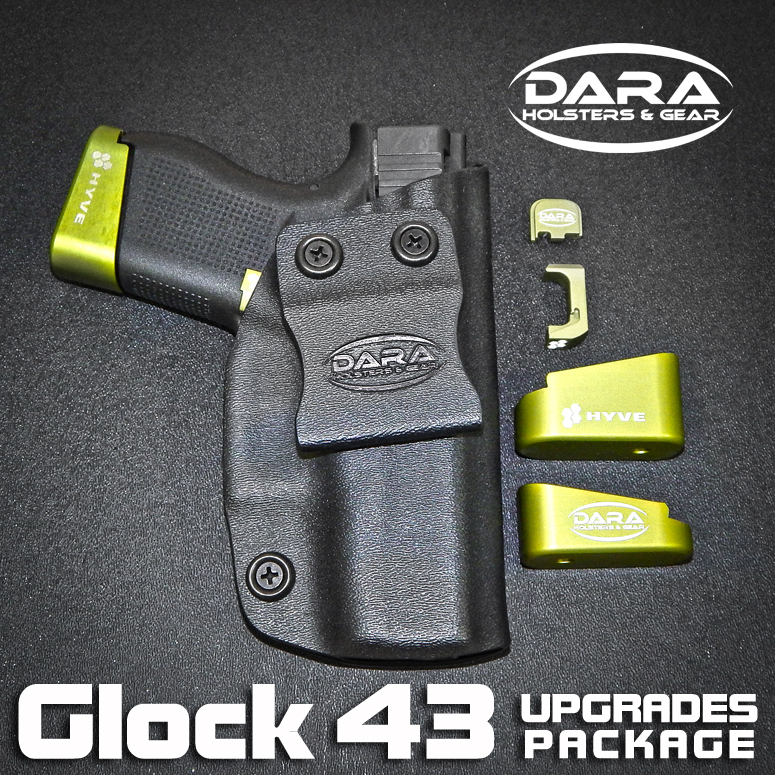 Both packages are great for anyone who carries the G43 or G42, choose the best color for the carrier and they'll never stop thanking you! These packages are perfect for anyone who's been on the fence about a weapon light. Give them the light they're wanted, along with the holster that6 fits perfectly. Save them the trouble of finding their own! These packages are perfect for anyone who Carries Concealed. Choose from our Range Package- an OWB Holster with OWB single Mag Carrier -or- our Concealed Carry Package- an IWB Holster and IWB single Mag Carrier. Already a Dara Holsters Fan? Get them a T-shirt! If you're not sure what to buy, or want to let them choose their own options, purchase a gift certificate!